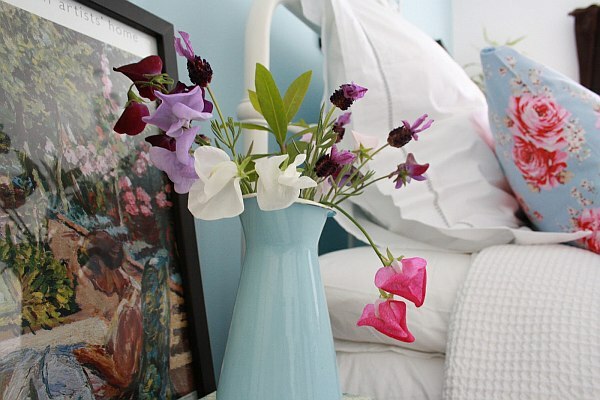 Flowers in the bedroom creates such sensual elegance. The only guideline to keep in mind that when placing florals in the bedroom, is to choose flowers that have a pleasant but not overpowering scent. One time I placed some stargazer lilies in the bedroom. The scent was so strong that we woke up feeling doused in perfume. A vase full of tulips or chrysanthemums look lovely, are long lasting and smile at you upon waking. 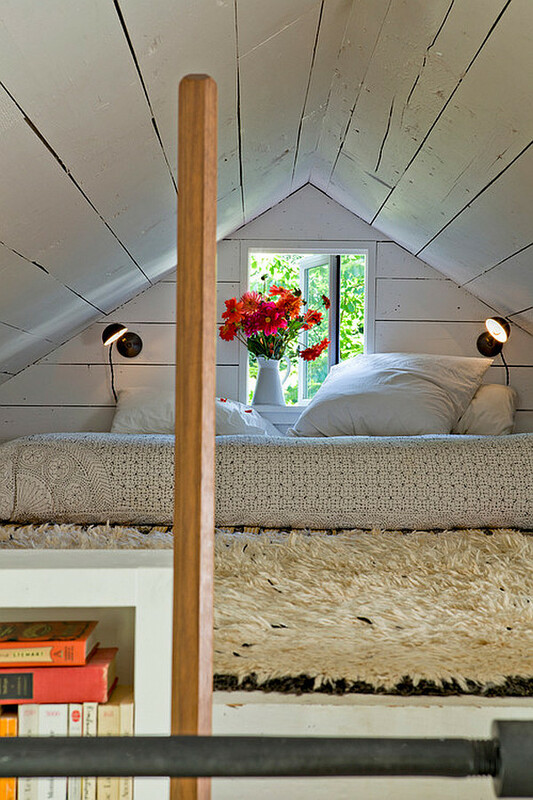 Blossoming branches is another great bedroom floral. They bring simple elegance to the space. A vase of colorful blooms brings warmth to a white space for sure. 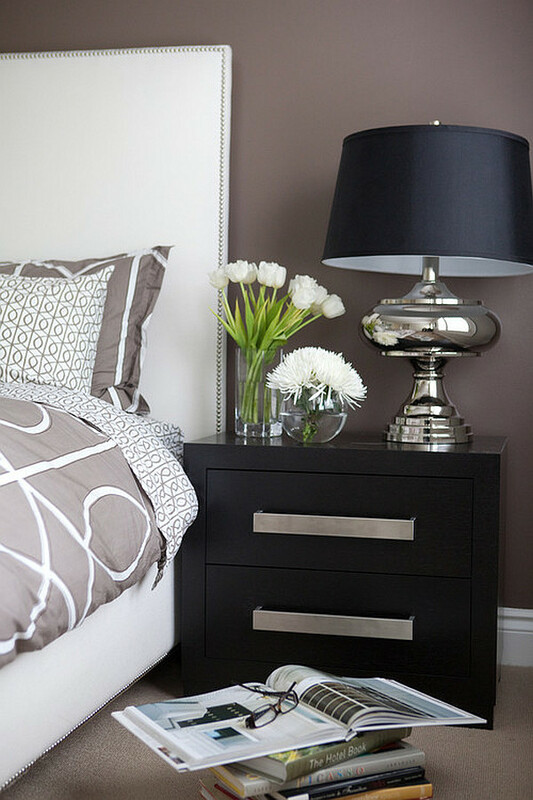 Or if you really want to get intricate, you could select a few color coordinated blooms to add to the bedroom. Very artistic. So tomorrow we will look in-depth at how to add florals to your bedroom dresser. 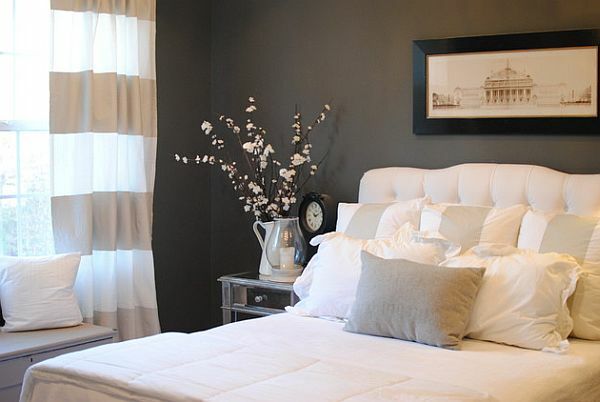 Until then, take a closer look at your bedroom and notice where you could add a few blooms to the space. We will then explore how to incorporate them into your dreamy space.